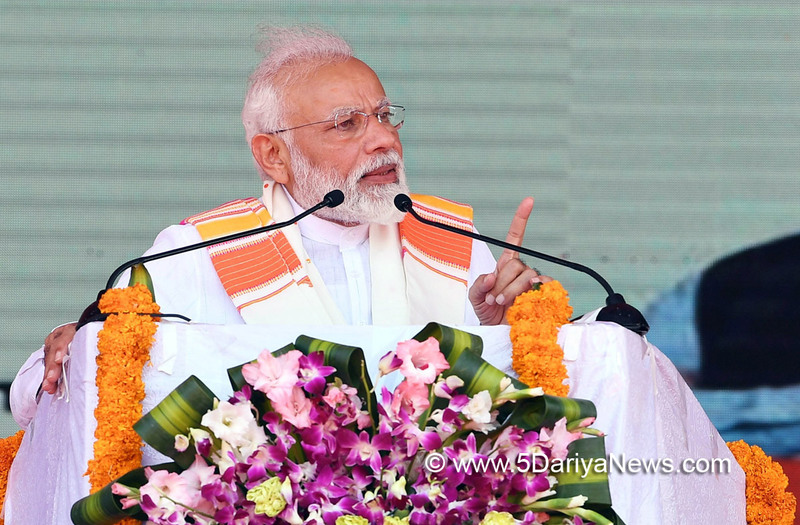 Prime Minister Narendra Modi declared on Friday that every Indian was "proud that the brave" Wing Commander Abhinandan Varthaman who was taken captive by Pakistan hails from Tamil Nadu.Speaking after laying the foundation stone of a railway line between Rameshwaram and Dhanushkodi, Modi added: "I am proud that India's first woman Defence Minister is from Tamil Nadu. "The Indian Air Force pilot is set to be released by Pakistan later in the day.Modi also flagged off Tejas, described as the fastest train to link Madurai and Chennai in Tamil Nadu. "This is one of the most modern trains and is a great example of 'Make in India' having been manufactured in the Integral Coach Factory of Chennai," the Prime Minister said.The Rameshwaram-Dhanushkodi rail line was damaged in a natural disaster of 1964 "but for over 50 years no attention was paid to this line", he said. "But better late than never. "Modi said that in 2014, after a gap of 30 years, a political party got a full majority on its own in Parliament. "The people's message was clear: they wanted a government that takes bold and tough decisions," the Prime Minister said. "People wanted honesty, not dynasty. People wanted development, not decay. People wanted progress, not policy paralysis. People wanted opportunities, not obstacles. People wanted security, not stagnation. People wanted inclusive growth, not vote bank politics. "Modi said his government was "most sensitive" to the safety and well-being of Indian fishermen.Due to sustained diplomatic efforts, since May 2014, hundreds of fishermen had been released by Sri Lankan authorities, he said.Tamil Nadu and Sri Lanka are separated by a narrow strip of sea.